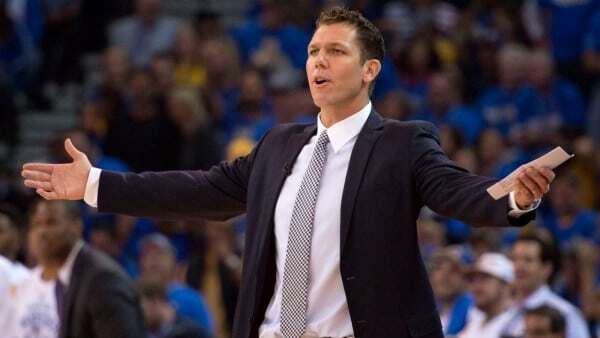 Luke Walton’s coaching career is attached to Steve Kerr among most basketball fans. He was Kerr’s Golden State assistant on the 2014-15 NBA title team and went 39-4 as interim head coach when Kerr’s back sidelined him in 2015-16. But Walton, now head coach of the Los Angeles Lakers, actually belongs to a coaching tree rooted to Josh Pastner, an old friend who is Georgia Tech’s third-year head coach. The sprout dates back to the 2011 NBA owners’ lockout. At the time, Pastner was the head coach at the University of Memphis; Walton was set to begin his eighth NBA season playing for the Lakers. He played three more seasons, including the final two with the Cleveland Cavaliers, but both knew his career was winding down at age 31. “He wasn’t sure what he wanted to do, although he had made enough money he didn’t have to do anything,” Pastner told me when I asked last month at the ACC media day in Charlotte, N.C., about launching Walton’s coaching career. Their friendship dated to their college days – first as Arizona senior/freshman teammates in 1998-99 and then the remainder of Walton’s college career once then-Wildcats head coach Lute Olsen added Pastner to his staff upon graduation. So the timing was right for Pastner to call to his old friend to see if he wanted to explore coaching. With no end in sight to the lockout that began July 1, Pastner’s hunch that Walton was a coach at heart proved correct. Yes, Walton’s entrée to coaching was a special break, but that’s how the business works. What mattered were day-to-day duties that were the same grind as the other assistants. Although the coaching experiment was a nice fit, there was one speed bump overcome upon his Memphis arrival. “Walton” had been a dirty surname among Tigers fans since the 1973 NCAA championship game. Luke’s father Bill scored 44 points to lead UCLA past Memphis, 87-76. Bill hit 21-of-22 field goals in an era when the dunk was outlawed. He also pulled down 13 rebounds to start the Bruins’ patented fast breaks. He was named the tournament’s Most Outstanding Player for one of the tournament’s all-time performances. But Luke winning over the players, who weren’t born until the 1990s, was easy. He was an active NBA player with two world championship rings from the 2008-09 and 2009-10 seasons. To the Tigers, Bill Walton was an old broadcaster. Luke remained with Memphis until the lockout ended and the NBA season resumed Dec. 25, 2011. As he packed his bags, he thanked Pastner for the experience, but not without adding a telling observation. Pastner laugh as he re-told the story. True to his word, when he retired from playing he didn't go back to Memphis or another college job. He spent 2013-14 as a developmental coach for the Los Angeles D-Fenders in the NBA Developmental League, now called the G-League. He joined Kerr in 2014-15 for the NBA title run. With Walton’s success as an assistant highlighted by his stint as the Warriors’ interim head coach in 2015-16, he jumped to the front of the list among candidates for vacant NBA jobs. The Lakers provided a chance to return home to Southern California, having played for the Lakers and grown up in San Diego. His first two years the talent-deficient Lakers were only 26-56 and 35-47, but not much was expected from the roster. This year is different, with LeBron James having signed on as a free agent. After starts of 0-3 and 2-5 that led to a meeting between Walton and team president and Lakers icon Magic Johnson, the Lakers have rebounded. Their win over Atlanta Sunday was their third straight victory to climb above .500 for the first time at 7-6. The Los Angeles Times story credited Walton’s lineup down the stretch against the Hawks.